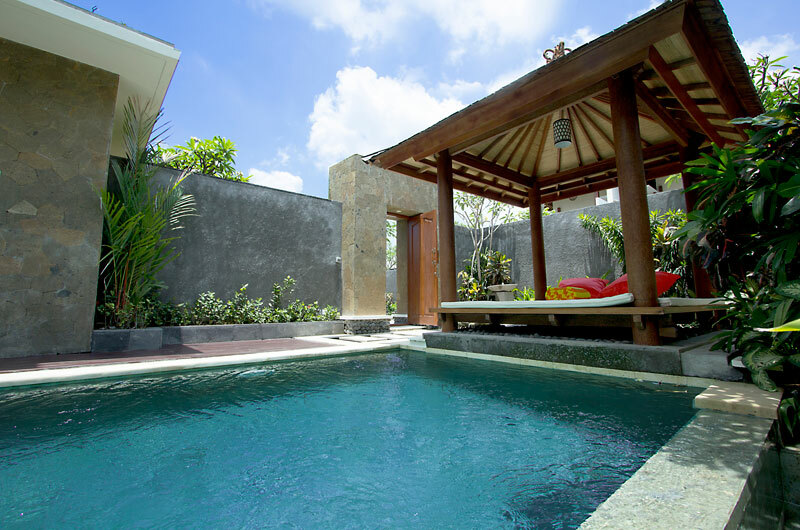 Nestled far away from the busiest area of Bali, Aksata Villas stands majestically facing the freshness of rice paddy filed. 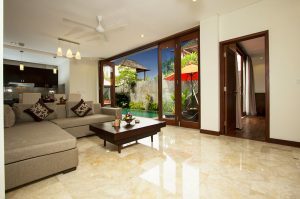 The destination of choice for travelers who desire a bit more privacy and who love to surround themselves with stylish amenities, this villa is the perfect way to enjoy Bali’s bountiful beauty. 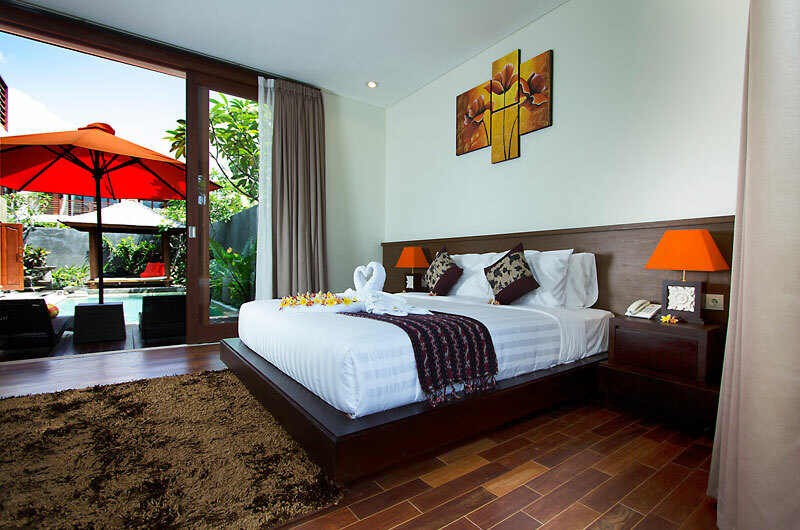 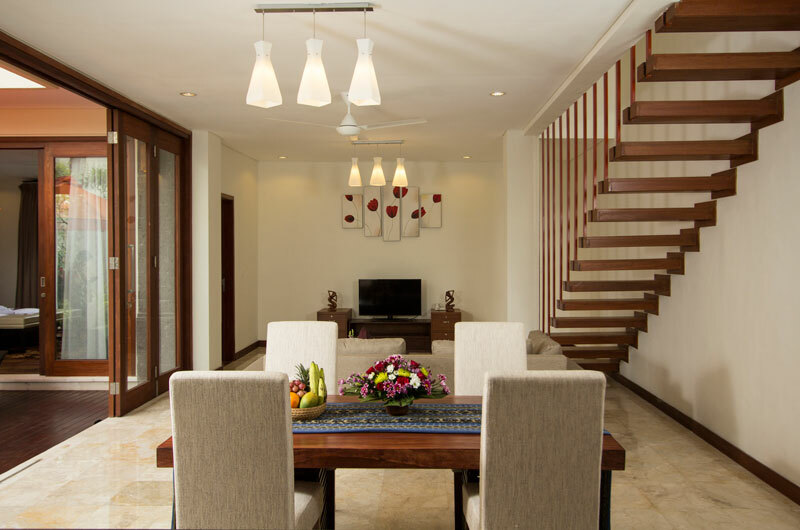 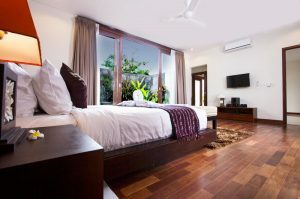 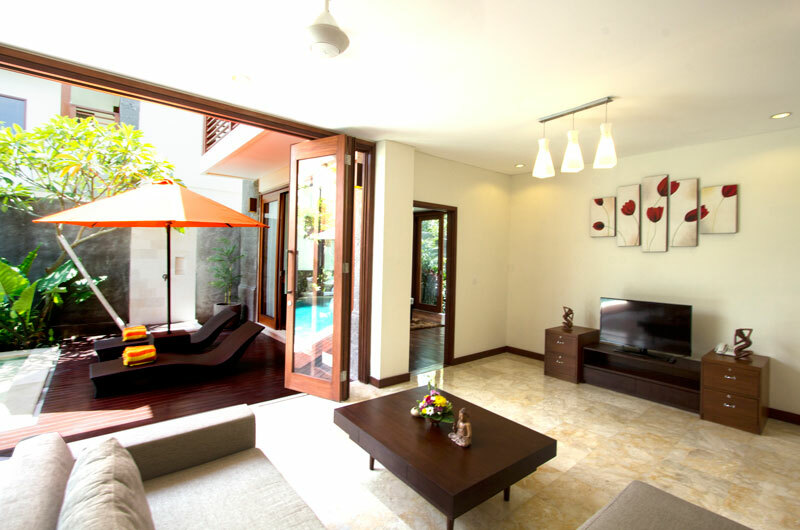 Located in the western part of the island, about 30 minutes from the International Airport of Ngurah Rai, the villa consists of seven units, each embracing their paradisiacal surroundings. 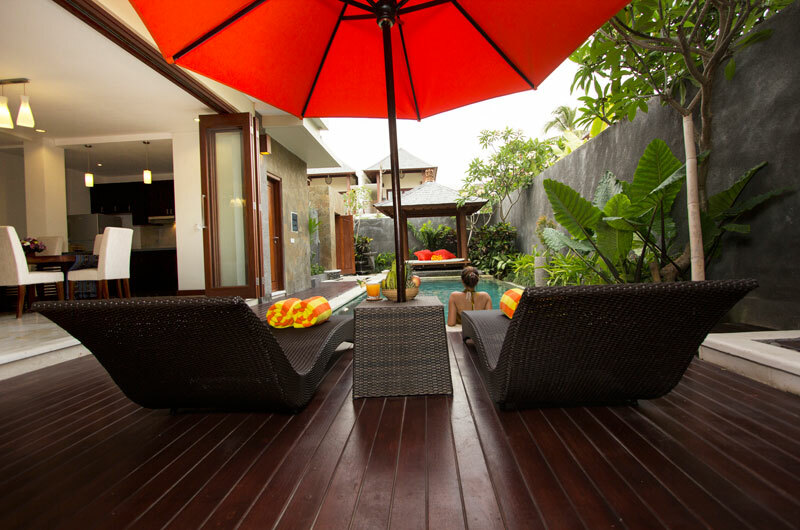 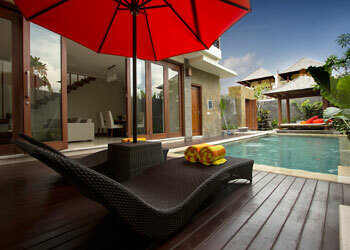 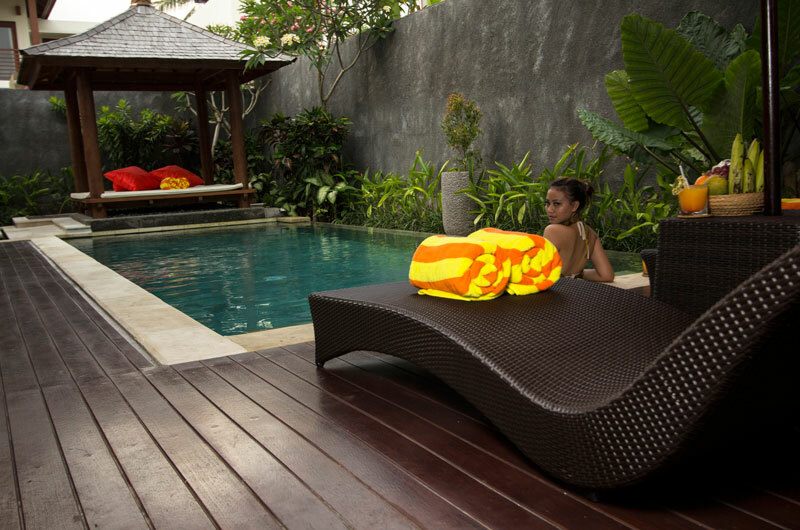 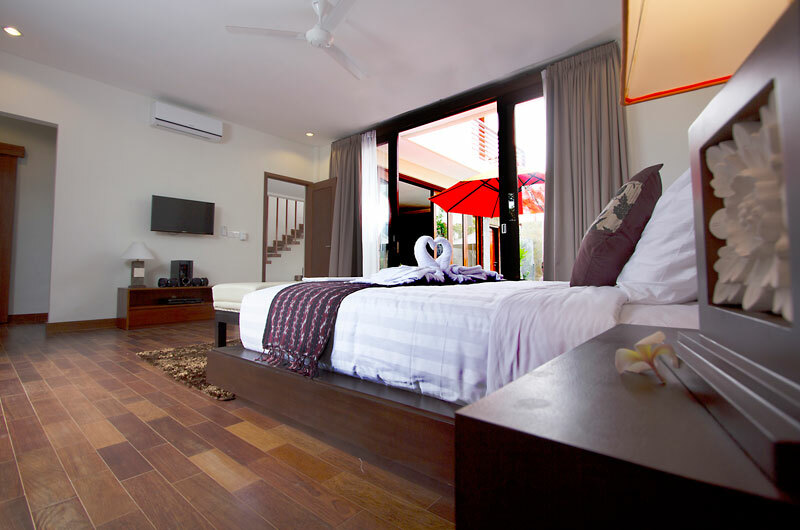 All two- and three-bedroom pool villas offer you a matchless oasis of tranquility. 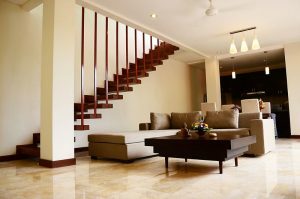 As soon as you drive in the complex, be prepared to allow the friendly and experienced staff to cater to your individual needs. 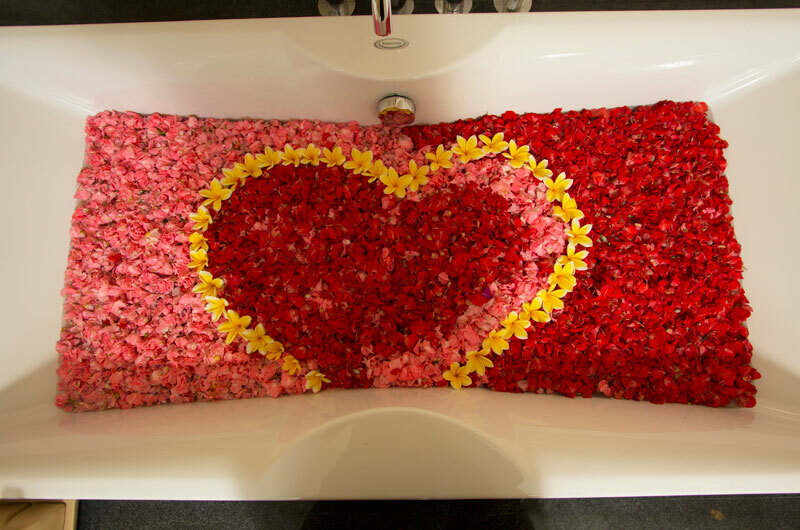 While our staff directs your feet to your new “home”, you will be amazed to see a soothing ambience around you. Each villa has own parking lot and entrance, making you feel like stepping to your own house. Behind the wood gate, a stunning swimming pool complete with timber deck welcomes you along the gorgeous teakwood floors, contemporary hues of fuchsia and cream, luxurious bed linens and sleek, tropical furnishings create a cocoon of romance and glamour. 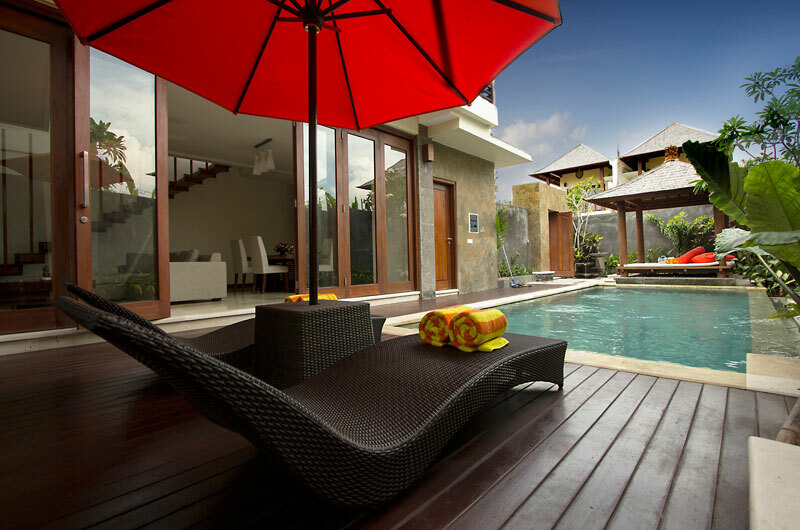 The mixture of modern Balinese–European cultures in design, comfort, facilities and food come together to create a blend of quality and opulence. New style furnishings and neoteric western décor complemented by unique pieces of art displayed beautifully in every corner of the villa; elevate the lavish and flexible spaces beyond the predictable. 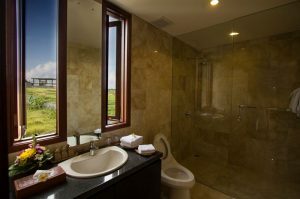 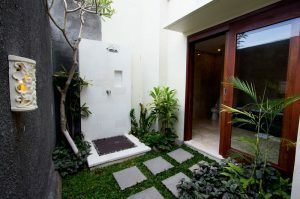 Outdoor glamorous unsuited bathroom with indoor bathtub and shower is available in the master room. 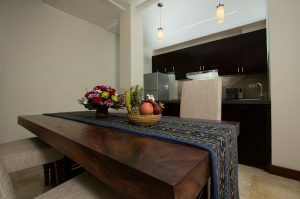 Two identical bedrooms are located on the upper level to respect personal space and privacy. 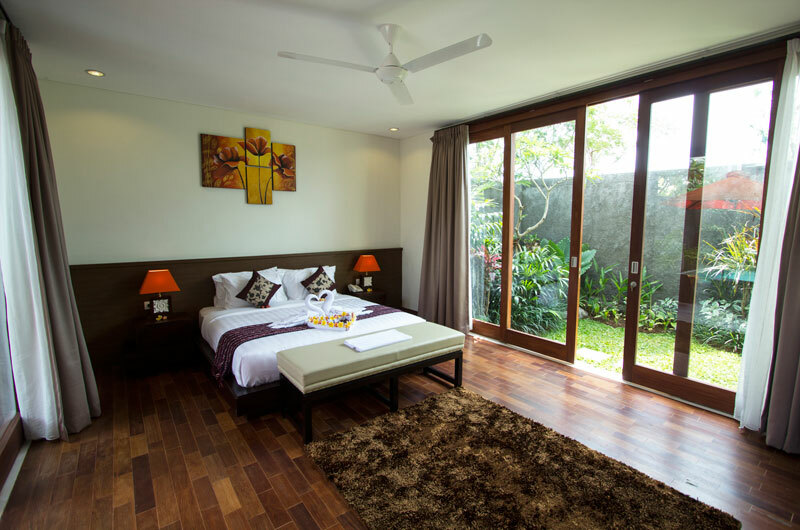 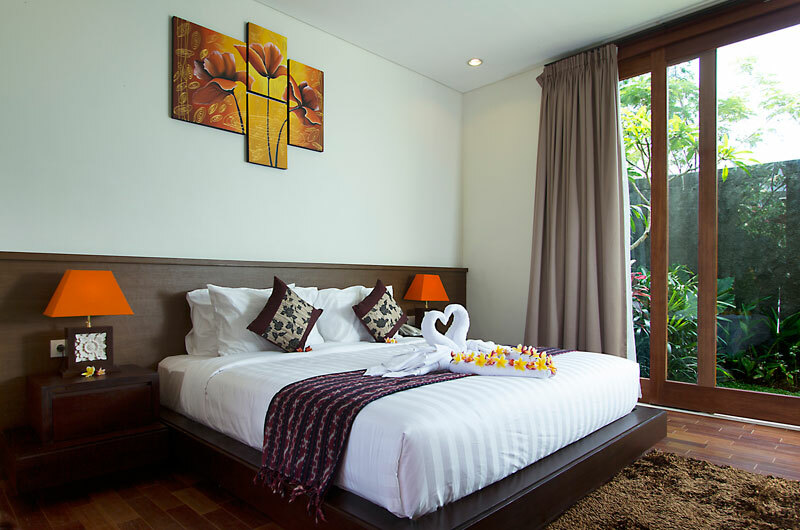 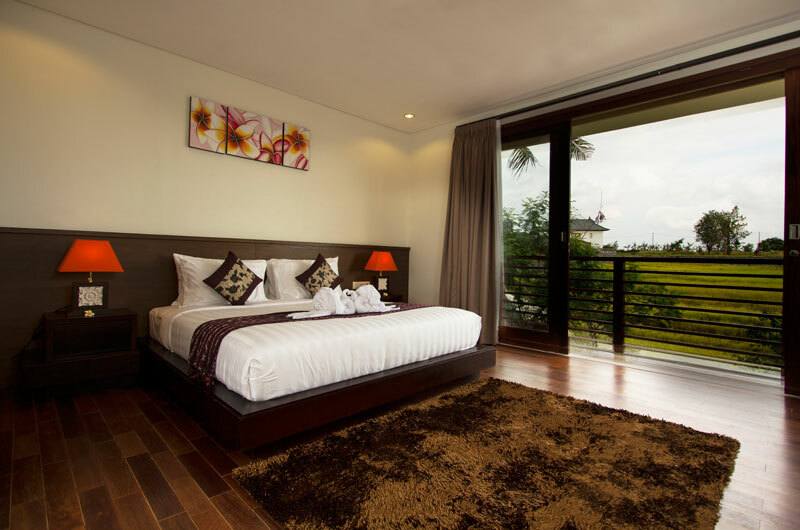 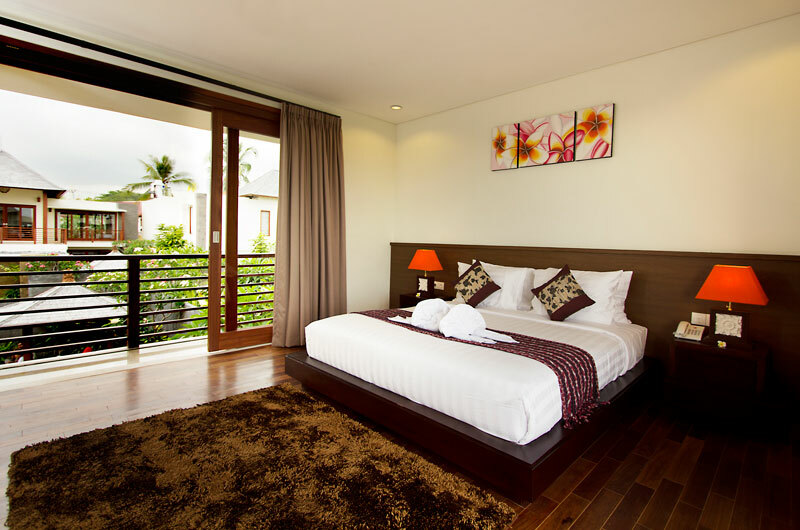 Glass sliding door next to those rooms will take you directly to the front balcony overlooking the pool and back balcony facing the rice paddy field, allow you to wake up in the morning and feel freshness of the day. 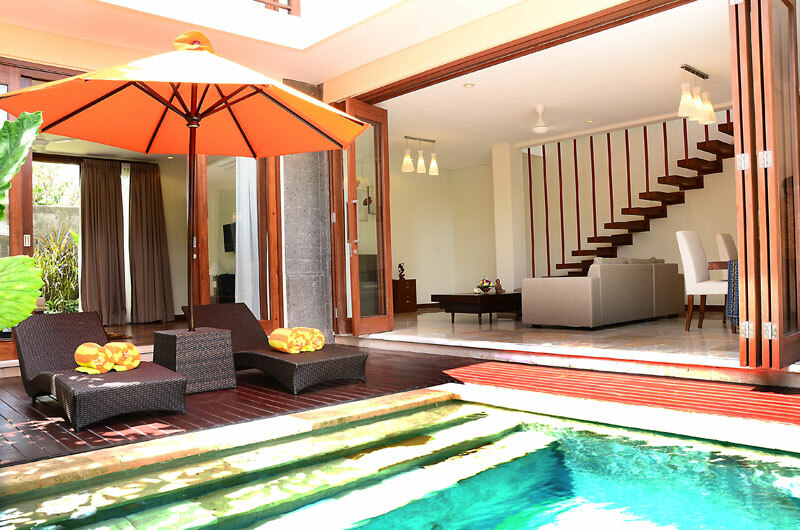 Immediately you will be drawn to a chic daybed positioned perfectly on these private balconies. 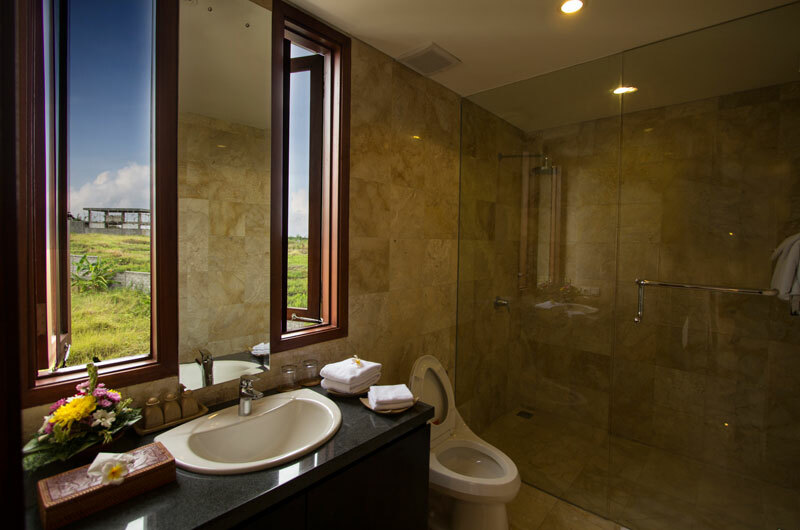 With breathtaking views of the surroundings, enjoying a bottle of wine may just be the first activity on the day’s itinerary. With several world-class amenities to choose from, filling your days and nights with memorable experiences will not be hard to do. 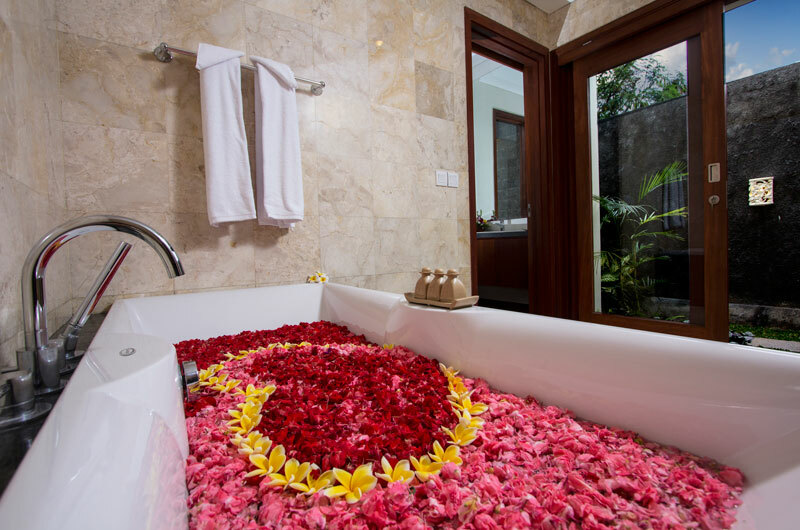 Our 24-hour room service and personal butler are at your service to ensure a well-rounded holiday experience. Each villa including complimentary water dispenser, balcony/terrace, air conditioning, hair dryer, complimentary Wi-Fi, separate shower and tub. 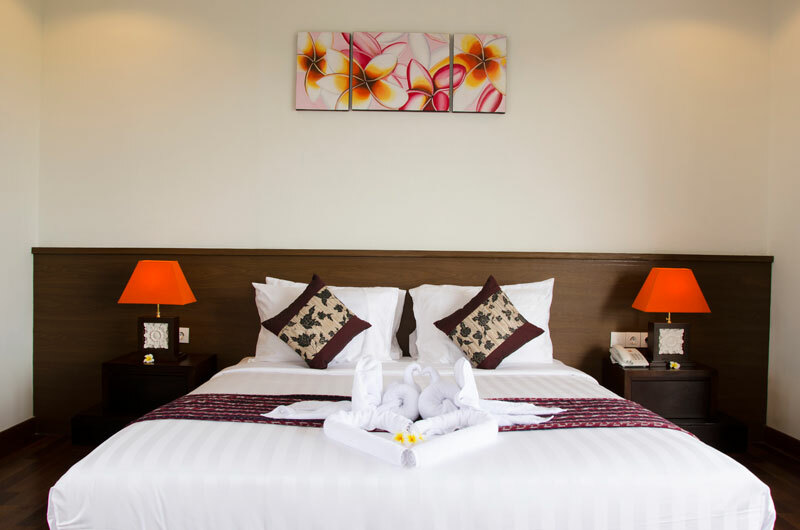 The Hotel’s recreational facilities, which include massage, spa, garden, indoor pool are designed for escape and relaxation.